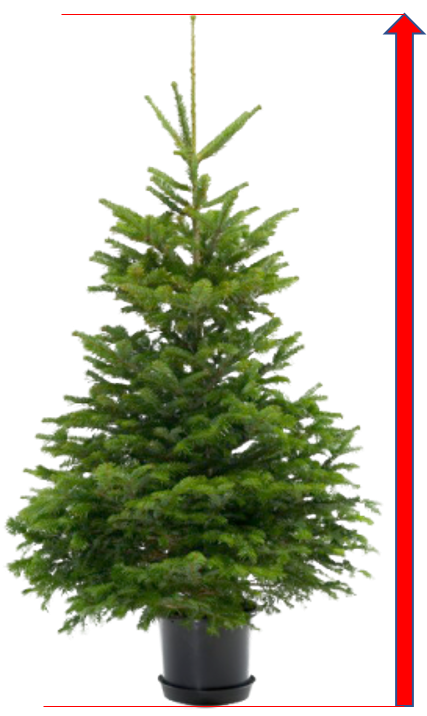 How to measure the Christmas tree? From the floor to the top of the tree. 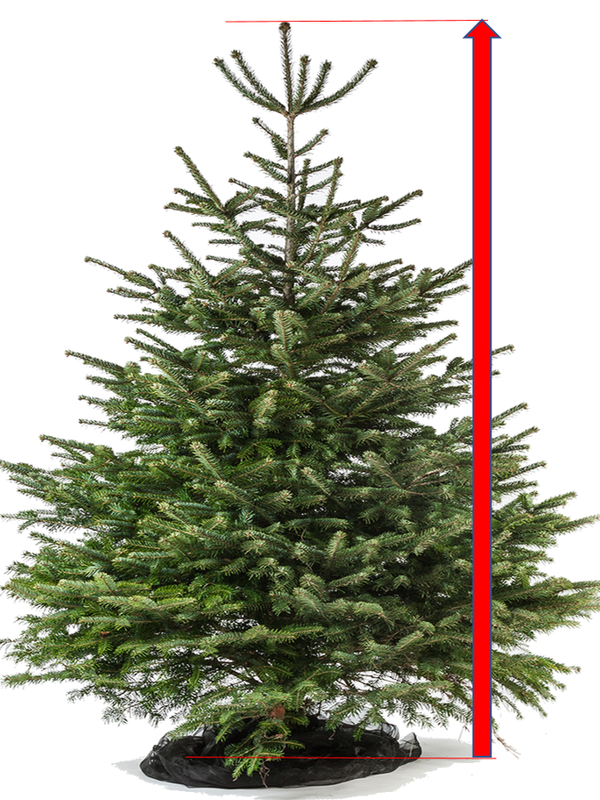 The Christmas tree belongs to a category in which different sizes exist. If you choose this category, the Christmas tree will be in between those 2 sizes. What is your advice to keep a spruce as long as possible ? Avoid a considerable and sudden change of temperature. We advise you to keep your pine tree in your garage for one night ; for example before you place it in your living room. Do you sell pine trees higher than two meters with roots ? No, we don't sell such pine trees because the roots are too big, consequently the size of the pot and especially its weight would be too much. How long can I expect to keep a nice cut pine tree ? The average life expectancy of a spruce is around 20 days. The average life expectancy of a nordmann is around 4-5 weeks. What are the delivery time frames for the pine trees, decorations and accessories ? How are the pine trees, decorations and accessories packaged during the shipment? Our natural pine trees are delivered in a protective net. It helps avoid dirtying your house, to avoid marks on your walls during the set-up phase and to protect the pine tree during the transport. Our flocked pine trees are delivered in a plastic micropunched shealth. This will help avoid the same problems faced by natural pine trees. Our accessories and decorations are delivered in a cardboard box and protected by polystyrene. Can sapins.be take care of the decoration of my pine tree ? Yes, Sapins.be proposes a home decoration service. Upon delivery of the tree team of decorators will decorate your pine tree in accordance with the colours you will have previously chosen. What are the guarantees that your pine trees are of good quality ? Our pine trees are selected from our producers to guarantee you get a top quality product. Nevertheless, pine trees are natural products and it might happen that the pine tree doesn't meet a client’s expectations. Should that happen, we would definitely replace it with another one. If I order a pine tree with a cross, will it be fixed on my tree during the delivery ? The cross will be fixed by our team to make the tree perfectly straight. What can I do if I don't like my pine tree ? In that case we are commit to replace it as soon as possible. If I replant my pine tree with roots, will it grow? We can not guarantee that with mathematical certainty. Nevertheless our pine trees are grown in farming pots which give better chances of success. We estimate the likelihood of your pine tree regrowing at about 80%. Can I order a cut pine tree without a cross ? Yes, you can. 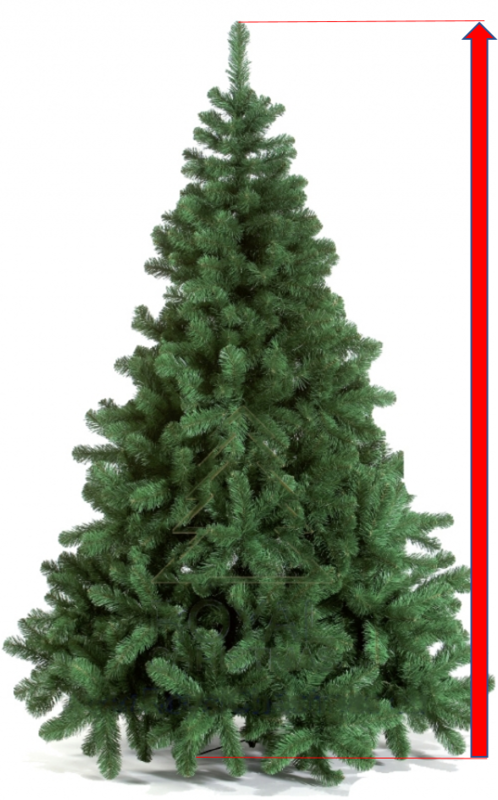 Nevertheless when you order a cut pine tree on our website, a cross is directly added to your tree. You just have to untick the « cross » box.